Drift eliminators are the most critical component in a cooling tower relating to health and safety. They are the last line of defence against Legionella. But what if the water treatment program fails for a few days? If the water treatment program fails in any way, drift eliminators are the back-up control measure. They are the last line of defence against Legionella bacteria. These droplets can be inhaled by persons within a 2 km radius. The drift eliminators are designed to control these droplets from becoming airborne and transmissible to people in the area, thus reducing the risk. If drift eliminators are damaged, scaled, dirty, corroded or brittle. It is highly recommended that they be replaced if defective; that they be removed and cleaned regularly; and inspected to ensure they are fitted correctly. Every single drop of drift has the potential to contain many legionella bacteria. Drift reduction is a major benefit and safeguard. If less than 10 CFU/ml (legionella) is classified as safe, what is the potential impact of 10lt, 20lt, 50lt or 200lt of drift loss in 8 hrs? What if the count is over 10 CFU/ml? There is a need for more focus in maintaining cooling towers based on performance and legionella control. The water treatment is currently the main focus when it comes to cooling tower maintenance. How the cooling towers perform mechanically tends to be overlooked. 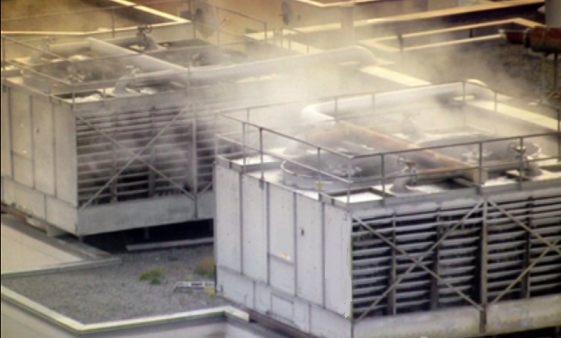 We come across many cooling towers in Melbourne with drift eliminators that are not inspected and maintained correctly. How often are your drift eliminators being checked and maintained? Best practice is 3 monthly, in line with cooling tower manufacturers’ specifications, as generally stated in their operation and maintenance manuals. The routine cooling tower clean is a great time to remove, inspect and clean the drift eliminators. We also recommend that photos are taken at this stage to prove that they are in good order. This is part of Coolclean’s standard routine clean procedure. As a cooling tower specialist company, our focus is on all cooling tower components, but especially on the last line of defence against Legionella, the drift eliminators. 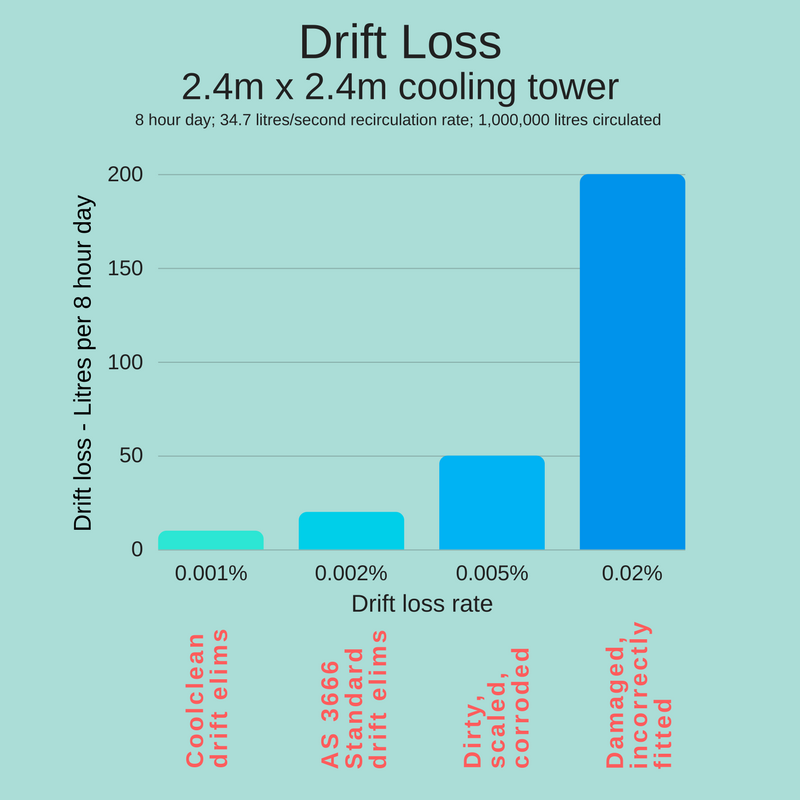 No drift loss equates to no Legionella bacteria issue; very low drift loss equates to very low chance of Legionella. Coolclean provides cleaning, repair and replacement of drift eliminators. We supply quality PVC drift eliminators, which are rated at a maximum drift loss of 0.001% of the recirculated water rate. This is well within Australian Standard requirements of 0.002%. Contact us for assistance or advice. Coolclean is based in Melbourne. We service Victoria, NSW, SA and Tas.